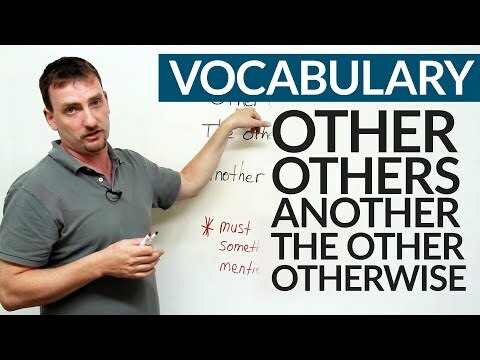 http://www.engvid.com You've seen the words other, the other, and another before, but in this lesson you'll see how they are used to identify numbers (plural/singular), a prior reference, and as transitions in essays, such as those on the IELTS and TOEFL. You'll also understand how to use 'otherwise' and 'other than' as expressions. Take a quiz on this lesson athttp://www.engvid.com/other-another-o... .